With the Christmas season approaching like the speed of light, its time for us to turn in to deranged women! Arranging gifts, parties and the dreaded Christmas outfit (something that will look great on the day but at the same time stretch nicely round the Christmas dinner baby!) so we all need to step back and pamper ourselves, its only fair! So before it all sets in why not treat yourself to your own unique advent calendar? This is not for the kids, you will not find miniature chocolate bars or Rudolf shaped choccies in these! These are for you and only YOU! I'm talking about Advent Calendars that will not add pounds to your hips, no, these wonderfully wrapped gems are full of make up, skin care, nail polish and even candles to get you party ready and feeling fabulous! Ciate Mini Mani Month £42.00 Available to now. Will you be purchasing any of these Grown Up Advent Calendars? If so, which one has caught your eye? 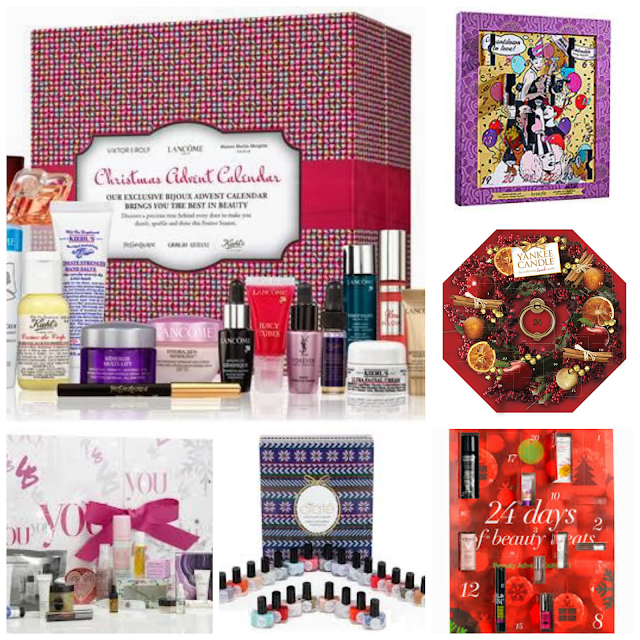 To see 2014 Beauty Advent Calendars click here!!! I didn't know Yankee did a calendar! I love it! The latest in beauty calender was absolutely brilliant last year-I think I have used almost every single thing that was in it! I would definitely buy that one again! I LOVE that Yankee Candle idea, that is amazing and I am buying one right now!!!! These advent calenders are amazing!! wish i could afford the Selridges one for my self!! I've never seen or heard of these before and I love the idea of these! I'm not really a chocolate person anyway, so this would be something I might need to take a look into!! Thanks for sharing! I want them all! I'm determined to get a benefit calendar and don't care who I have to take down to get one haha! Love the look of the Yankee Candle one! I love the Selfridges one, the price tag is crazy though! Great post, I've never had a 'grown up' calender before, may have to persuade the boyfriend to buy me one, haha!